If you need to know how to wire a plug simply follow the steps below to wire up a 13 amp plug. Please note that you can click on the photos to enlarge them so you can see the process in more detail. 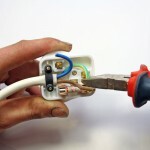 (this guide is for a BS 1363 plug). 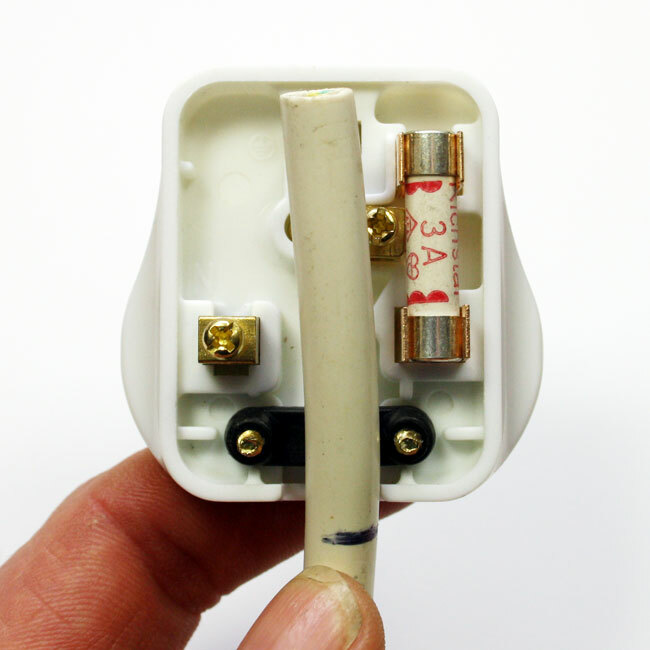 NEVER attempt to do this with the plug inserted in a wall socket or plugboard – UNPLUG IT FIRST. 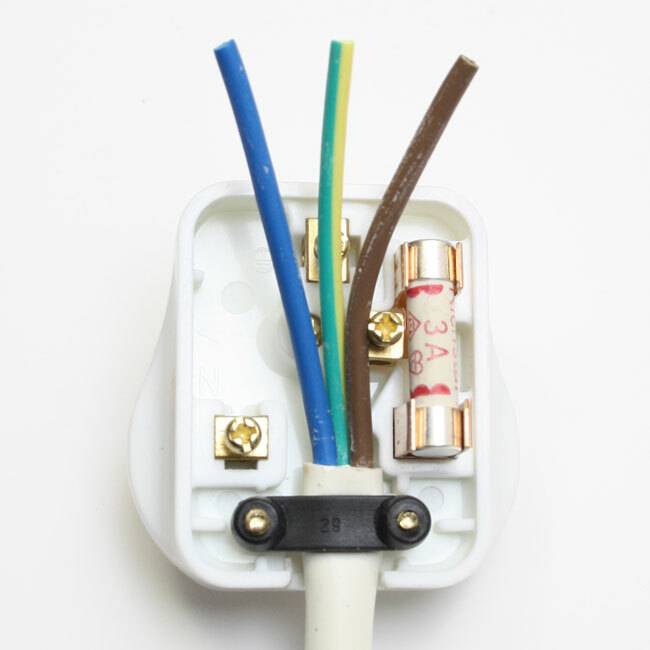 What if my appliance has different coloured wires in the flex?? 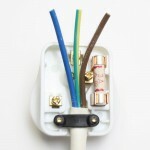 What if I have no Earth wire?? 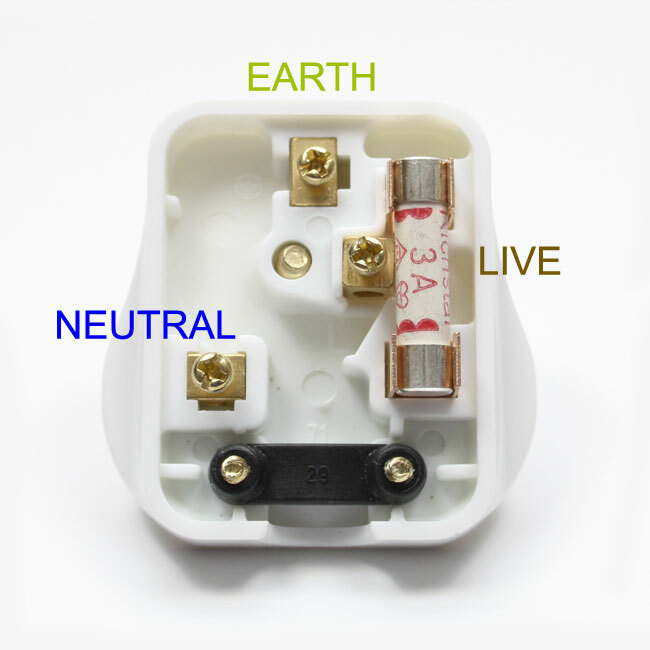 How do I choose the correct fuse?? First, remove the top of the plug by undoing the centre screw on the bottom of the plug. Hold the Flex down the centre of the plug level with the top and mark it with a pen as shown just below the cable clamp (this will leave enough spare so we can trim the cores to length later). 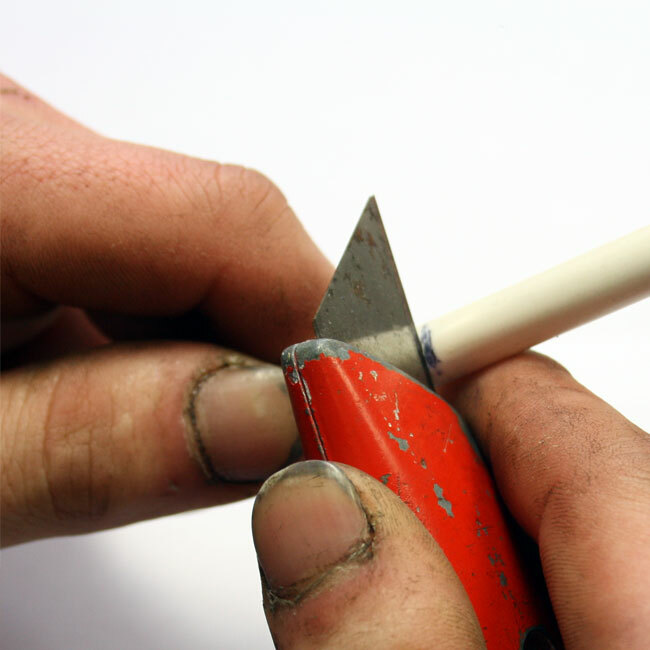 Using a craft knife, very gently score the surface of the flex all the way round where you marked it with the pen. 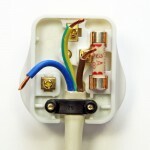 Be very careful not to cut all the way through as this will damage the inner wires. Now if you bend the flex where the score line is it will tear cleanly, turn over and bend the other way to get it to tear all the way round. 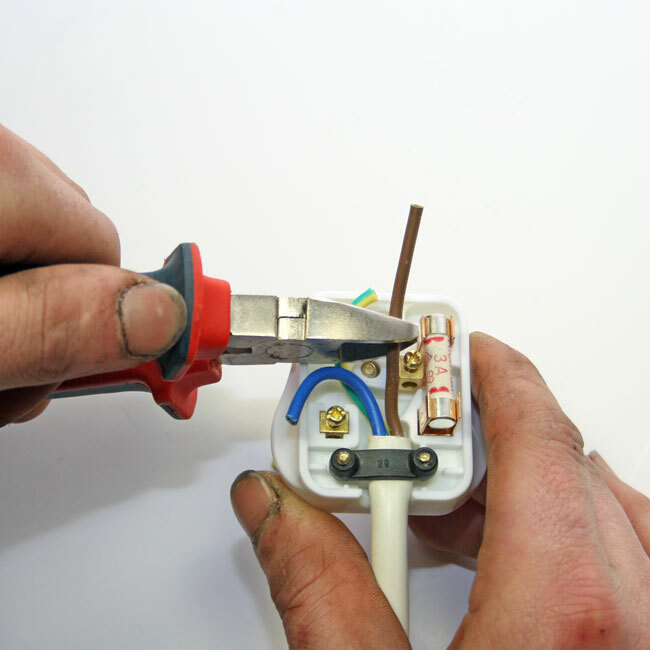 Inspect the inner cable cores to make sure you haven’t cut through and damaged them. 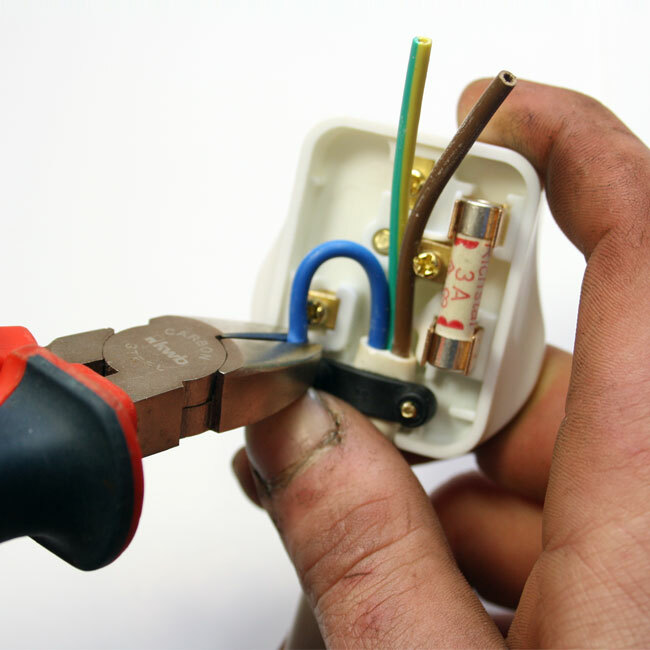 Now loosen the cable clamp on the plug (by undoing the two retaining screws on the bottom of the plug) then feed in the flex. Twist the flex so that the neutral wire (blue) is to the left, the live (brown) is to the right. Tighten the cable clamp so the flex is held firmly in place as shown (Make sure the cable clamp is gripping the outer sleeve of the cable, not the coloured wires). 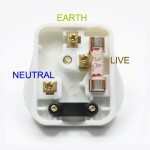 Offer the Neutral (blue) wire into position beside the neutral pin of the plug (marked N). Cut the core flush with the bottom of the terminal. Repeat this process for the Earth (green/yellow) wire. Repeat for the live (brown) wire. Now strip back 5mm of sleeving from each wire and give the ends a twist ready for termination. 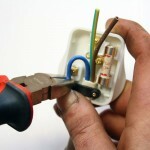 Using a small terminal screwdriver, loosen the screws on the top of the plug pins to allow insertion of the wires. 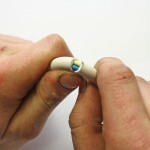 Insert the bare ends and tighten firmly. 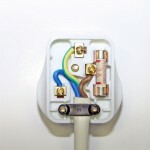 DO NOT over tighten as this squashes the wire and reduces its capacity to conduct the current. 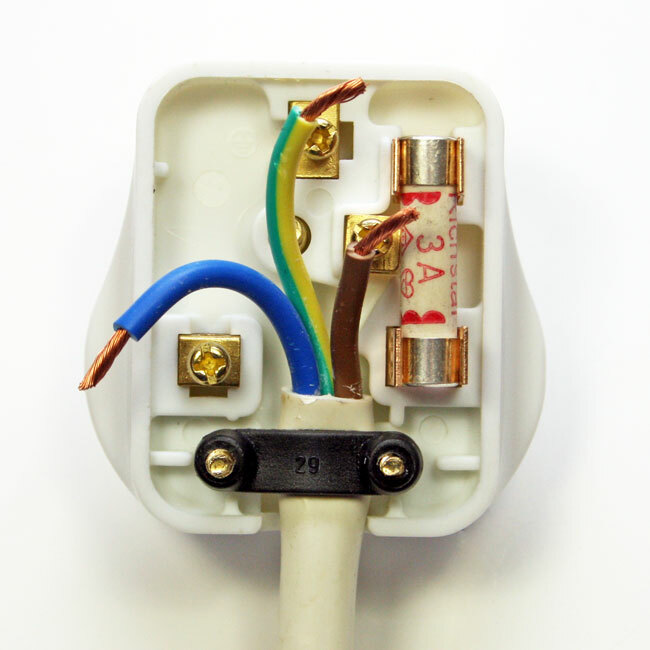 Make sure there is no bare wires or loose strands of wire showing. 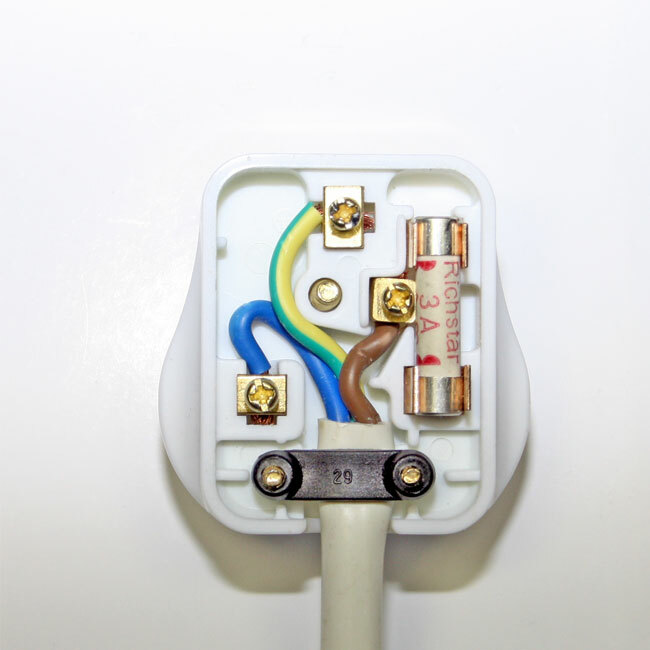 It is usually easier to push the pins up slightly when connecting the wires.Now insert the correct fuse for the appliance, check the wires are laying in the channels of the plug and will not become crushed when the cover is replaced. 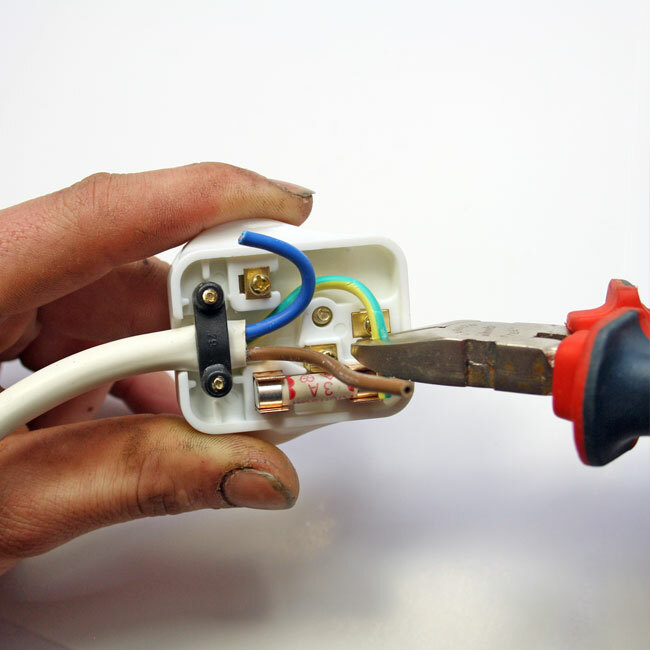 Double check that the wires are in the correct terminals and then replace the plug’s cover and tighten the screw.